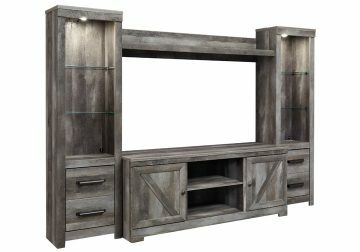 The Wynnlow 4 Pc Entertainment Center with fireplace option is sure to win your heart with its daring designer take on modern rustic. The crisp, clean and minimalist-chic profile is enriched with a striking replicated oak grain with thick plank styling and a weathered gray finish for that much more authentic character. Crossbuck detailing adds a brilliant barn door inspired touch. Compatible with W100-01 and W100-02 LED fireplace inserts, sold separately. Rustic gray planked replicated Oak grain with authentic touch. 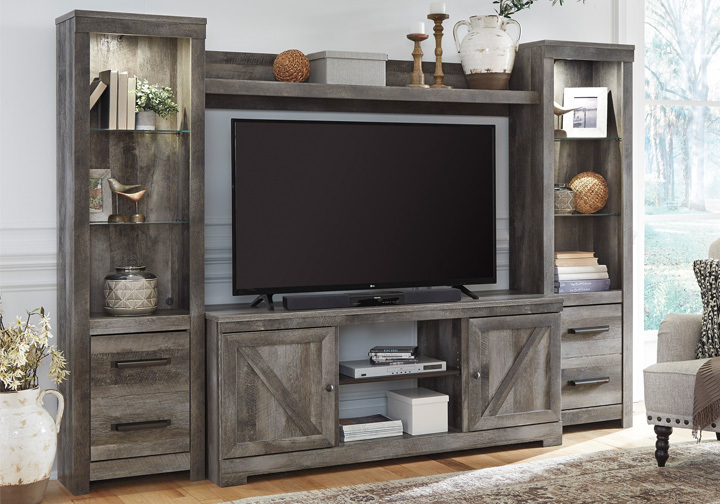 Entertainment unit features round knobs in a dark bronze color finish. The W440-68 is compatible with the W100-01,02 LED fireplace insert. Entertainment piers feature open glass shelving for display with display light and doors for storage. Doors on the entertainment piers and TV stand have adjustable shelves. 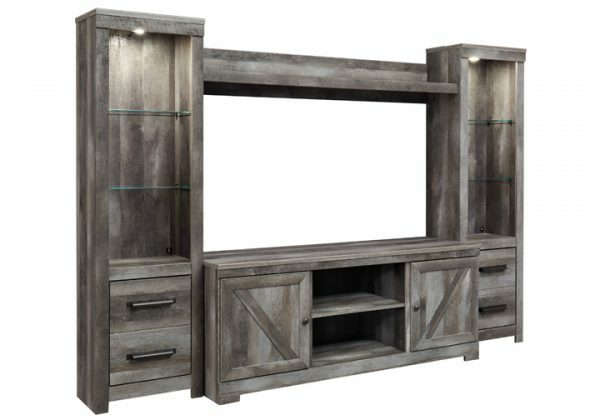 TV stand features crossbuck details on the doors.